Ever since the rumour got out that Thomas Hardy’s Ale was coming back, we have started to notice a kind of positive vibration, a mixture of happiness and apprehension coming from every part of the world.  When, in autumn 2012, the previous version of Thomas Hardy’s Ale website was launched (www.thomashardysale.com) messages began to arrive from fans. These messages are the most tangible indication of what Thomas Hardy’s Ale means to the world beer community. And they have amazed and thrilled those who have read them. Below you will find a selection of messages from these passionate and enthusiastic people. When & where will we be able to purchase the beautiful elixir please? Congratulations. I am looking forward to it. Please keep a few bottles for a poor Belgian home brewer ;-). But will it be with that same yeast strain giving it the “pineapple” taste? Thank you for trying to bring Thomas Hardy’s back from the dead. This was my favourite beer and I still have 5 bottles of the old brew but they won’t last forever. I’m eagerly looking forward to seeing it on the shelves again. I just wanted to say thank you so very much for the resurrection of this wonderful Ale. This was literally the first beer that I had ever tried and enjoyed. I just opened one of the 25-30 bottles that I have hoarded for the past 5 years, then decided to see if there was any new news. I am so happy to see that I won’t have to spread these bottles out over the rest of my life, I may go pop another!!!! Can’t wait to try the new batch. It’s exciting to see that this beer may come back into production. I’m glad that it’s being done for the right reason: love of quality beer. I hope this makes it to Canada when the first batches roll off the line. Looking forward to it, and wishing you the best of luck! How is the progress coming? I saw the “Raw Materials” post in October. It got me excited. Is there any talk of a brew date or a release date yet? Having just found your website I look forward to tasting what I consider the nectar of the gods again. I hope it will be produced and sold in bottles, not in tins. I hope it will be produced in nips, 180ml bottles. The best beer in the world, ever! I have been nursing a set of bottles of the 1994 and 1995 vintages. Today I opened one of the 1994s and find it an extraordinary experience. I would not describe it as sherry- or even port-like. It’s like one of those dark chocolates filled with liquid toffee, infusing my entire head with its flavor. I am so fortunate to have held on to these. Why, I must have been gifted with great foresight! I can only hope I’ve retained as much perspicacity as this ale has retained virtue. What great news, Thomas Hardy’s Ale is my most favourite of all time. Do not rush, it will last years, when you finally open it, slowly pour into a jug in one slow pour avoiding the sediment, then leave it to stand for an hour or two before pouring into glass, it will improve the flavour. Last year 2013 I had my oldest bottle 1988, it had a slight ‘cellar must’ initially but drunk the afore mentioned way was fine. The legend is back… and has taken gold already! 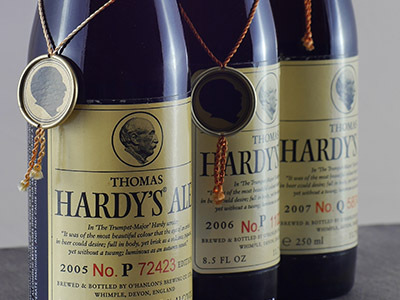 September 2006: Thomas Hardy’s Ale, produced by the O’Hanlon brewery, was awarded the gold medal for the world’s finest beer at the International Beer Challenge in London, perhaps the high point in a story cut short too soon. Two years later, O’Hanlon discontinued production, because it took too much time and too much money to brew this Barley Wine first made in 1968 in memory of the English writer. September 2016: ten years later, a new chapter in this history of Thomas Hardy’s Ale opens up from where the story left off. 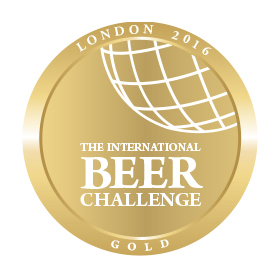 At the latest edition of the International Beer Challenge in London, the 2015 vintage of this distinctive ale came away with a second gold medal that appears to have brought its history full circle, confirming – if indeed confirmation were necessary – that the quality remains sublime, unchanged despite the new ownership. This award is the fruit of four years of hard work that have allowed the Vecchiato brothers – who purchased the brand and the recipe in 2012 – to put together an outstanding team. The official presentation of Thomas Hardy’s will take place on Monday 12 September, during Milano Beer Week, at Baladin in Milan (Italy), with a special guest: the English journalist and beer writer Roger Protz, one of the most authoritative names in the sector worldwide. All we can do now is eagerly look forward to 12 September, to find out more and to get our hands on a bottle or two of 2015 vintage Thomas Hardy’s Ale to store away in the cellar so that the lengthy bottle maturing process can bring out its aromas to the full. A barley wine, or an old ale? This is not as pedantic a question as it may appear. Thomas Hardy’s Ale is such an important beer that it can actually be classified in two different categories. 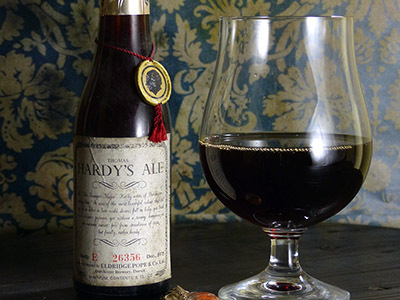 If the barley wine definition is perhaps the more common and widely-acknowledged, quite a few English experts put this beer in the old ale class. Foremost among these is celebrated beer writer Michael Jackson. The distinction is one for the specialists, because the two categories do in fact have many points in common: neither, for example, could be described as a “mass” beer; moreover, both are characterised by a fairly high alcohol content, higher in barley wine than in old ale, and both have a pronounced malty flavour. Both types, again, are of British origin and both have long histories. In fact, although the first recorded mention of barley wine dates to the early 20th century, we know for certain that this type of beer had already been produced in Great Britain for centuries. Old ales have an equally long story. Both types, finally, are beers which develop and mature for years in the bottle, and so they can be aged in the cellar after purchase. This is why, with a beer like Thomas Hardy’s Ale, we can enjoy amazing “vertical” tasting of various vintages, discovering the differences in the beer’s flavour and aroma in each individual year. A feature which has added to the reputation of the beers in question: buying barley wine or old ale is seen as an investment whose only reward is pleasure. On your own or shared with friends. On condition, of course, that they know how to appreciate a Thomas Hardy’s Ale. When talking of a beer so extraordinary as Thomas Hardy’s Ale the reference to memorable vintages is never an exaggeration. Each vintage, every year if you prefer, is actually characterised by different shades. In addition, the fascinating “miracle” of ageing in the cellar allows to enjoy, as long as you succeed in leaving a Thomas Hardy’s “helpless” for long, the evolution of the aromas and taste that gradually becomes more complex, structured, deep. However, authoritative experts have identified, in a number of occasions, some really legendary vintages, the result of exclusive and much envied tastings. If you happen to have any bottle of these legendary vintages in your cellar, well, be aware that you are guarding a treasure. 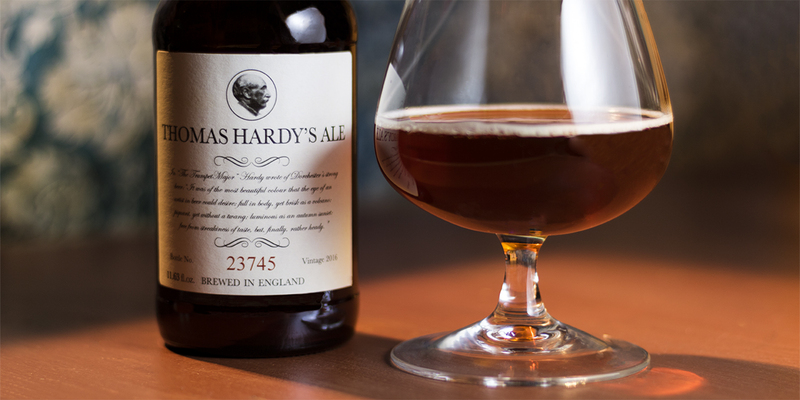 And if you happen to taste an “old” bottle of Thomas Hardy’s Ale … well, please share with us your feelings. We would love it! The silver anniversary year, that is twenty-five years from first production, a beer not impossible to find and even at the peak of its potential. Deep amber coloured, with complex and structured aromas that reveal the sweet notes of fruit, almonds and caramel. The palate again reveals sweet notes of caramel that, combined with toasted hints, give rise to an alcoholic accent that is at the same time warm, pleasant and persistent. A beer that seems to improve from year to year, according to those who had the good fortune to taste it several times and on different occasions over time. It results darker than that dated 1993, with a greater aromatic complexity that even includes spicy notes. The nose offers hints of smoke, vanilla, apple and cinnamon. The palate is well balanced, rich in malt sweetness but not cloying. The finish leaves aromatic hints of coffee, roasted malt and creamy toffee. Despite the many years passed, the taste of the vintage 1987 revealed a beer still extremely enjoyable. The amber colour turns to brown, the bouquet offers notes reminiscent of brandy, chocolate and caramel impressions, hints of dried flowers. The palate is simply sumptuous and complex with clear notes of figs and dates, up to a soft finish that leaves flavours of chocolate and caramel. 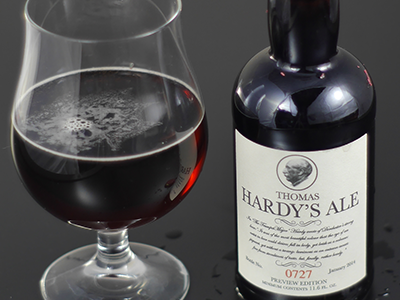 The first vintage ever of Thomas Hardy’s is a kind of Holy Grail. Idealized and highly sought after. Those who have had the good fortune to taste it report, with understandable emotion, notes of crème brûlée, an articulated fruity flavour ranging from nuances of apples, apricots and currants, the vinous finish hint reminiscent of a good quality Port. The first sip is able to amaze with its silkiness, as well as with the warm notes of toffee, apricot liqueur and, again, Porto. A beer yet elegant, complex but balanced and able to ensure a truly memorable taste experience.